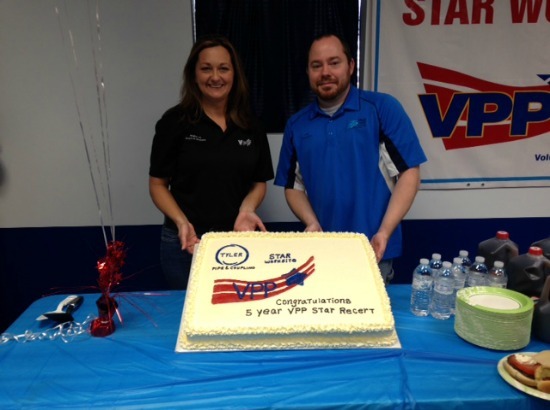 VPP Star Re-certification | McWane, Inc.
Tyler Pipe and Coupling held a luncheon to celebrate their VPP Star Re-certification. During the event, the VPP Ergo Cup Team presented their two top 12 finishing Ergo Cup projects to the entire team. Team members were treated to hamburgers, hot dogs, and a delicious cake. Congratulations to the entire Tyler Pipe & Coupling team for your VPP re-certification and your two Ergo Cup projects!